Dimensions: height 74cm, length 180cm, width 90cm, weight 40,5kg. Air, is a new and prestigious, line of tables designed by Siesta Exclusive to offer exclusivity to any environment, both internal and external. Air line consists of three models: Air 80 (square) and Air 140 or Air 180 (rectangular). 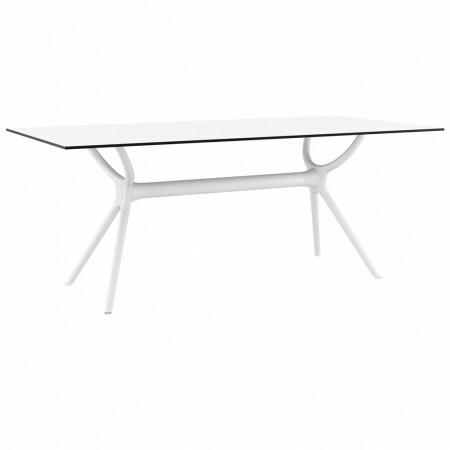 Air 180 is an elegant and robust square table. 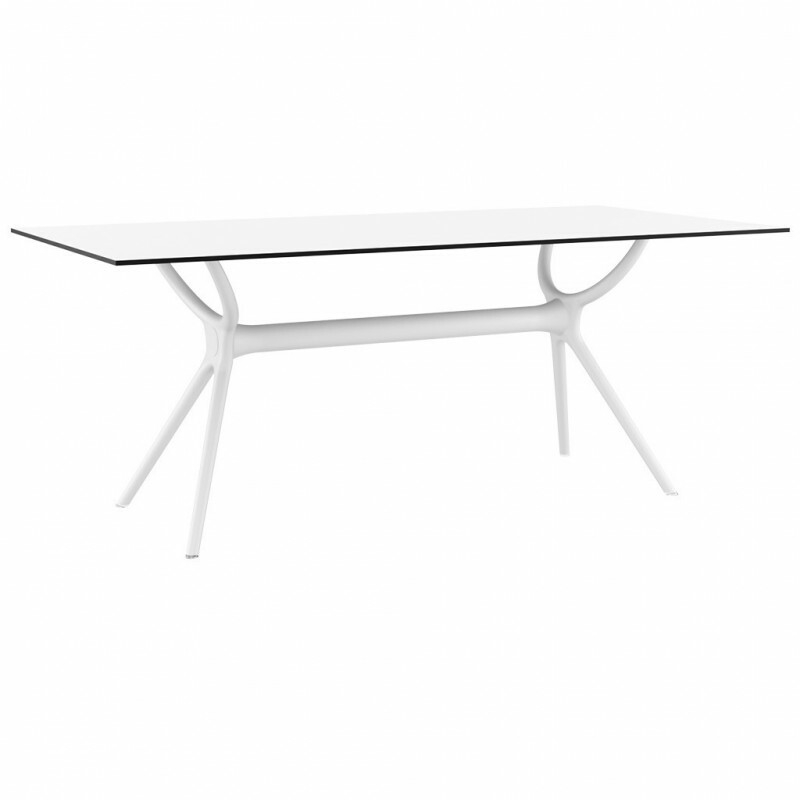 Table that thanks to its refined design, is able to integrate into any form of furniture, classic or modern. Air 180 is built with frame made of polymer, plastic material of great resistance and robustness, supplemented by top in HPL matt laminate, with a thickness of 12mm. Be noted that the top is anchored to the frame thanks to 8 bushings supplied. Air 180 can be easily disassembled (see the manual of installation attached). Recall that this table is also available with legs in rattan finish in the IBIZA model. Article visible below in related products. NOTE: on dark colors it is not advised the direct exposure to sunlight.